A Star Wars antagonist could continue his villainous streak in the Marvel Cinematic Universe. 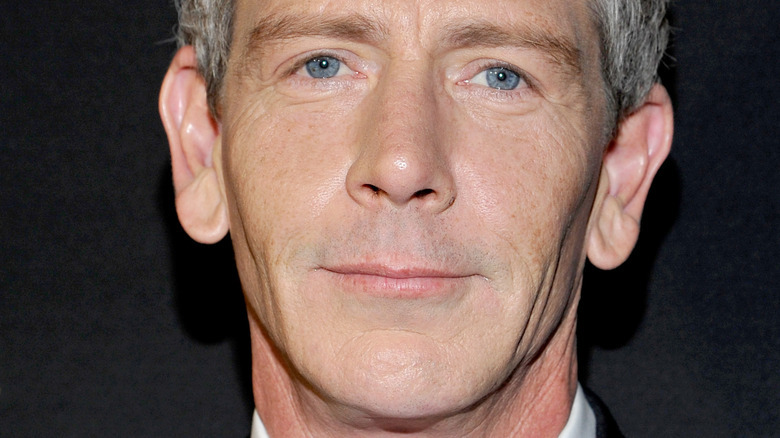 Ben Mendelsohn, who played Director Orson Krennic in Rogue One: A Star Wars Story, is in negotiations to star in Captain Marvel, The Hollywood Reporter has confirmed. While we know Brie Larson will take on the titular role, Mendelsohn is in talks to play the villain who attempts to take her down. Directed by filmmaking pair Anna Boden and Ryan Fleck (who oversaw Mendelsohn in 2015's Mississippi Grind), Captain Marvel centers around Larson's Carol Danvers, an Air Force pilot who becomes a superhero following an accident involving alien creatures. Carol's DNA becomes fused with that of an alien, and thus, her powers are born. Marvel head Kevin Feige announced during this year's San Diego Comic-Con that the film will be an origin story set in the 1990s, and feature Nick Fury, played by Samuel L. Jackson, without his signature eyepatch. But what's most interesting about Feige's comments in regards to Mendelsohn's involvement with Captain Marvel is that the movie's main villains are The Skrulls, a race of shape-shifting aliens introduced to the Marvel Comics universe in the early days. The Skrulls made their debut all the way back in the 1961 issue Fantastic Four #2, and are shown as being constantly at odds with another race of aliens called the Kree–the same aliens responsible for crafting the technology that gave Carol her powers in the first place. Perhaps Mendelsohn will play a major figure in the Skrull or Kree clans. While details on Mendelsohn's potential character remain hazy, it's quite the opposite for Larson's Carol. The actress previously said of her character, "She's a believer in truth and justice and she is a bridge between two worlds, Earth and space. She's fighting between the flaws that are within her and all this good she wants to try and spread and make the world a better place. She can also fly and shoot things out of her hands. And she's really funny!" Fans may recognize Mendelsohn from another famous comic book movie, the Christopher Nolan-directed The Dark Knight Rises, in which he played John Daggett. The Australian actor will next appear in the Winston Churchill drama The Darkest Hour as King George, in Steven Speilberg's Ready Player One as Nolan Sorrento, and in the Taron Egerton-led refresh Robin Hood as the Sheriff of Nottingham. Captain Marvel is due out in theaters on March 8, 2019.